In this blog, I have explored using Keras and GridSearch and how we can automatically run different Neural Network models by tuning hyperparameters (like epoch, batch sizes etc.). I have used Jupyter Notebook for development. First step is to import relevant packages and load CSV file contents into dataframe. Check the shape of the data frame and inspect the column names. Dataset has 30000 records and 25 columns. We know that "ID" column is not relevant for modelling so we can remove it. We have put rest of the columns into an array called "X". The output is in column name "default.payment.next.month" so save it in variable called "Y". We have a function to create a model. For now I have used simple parameters. But we can fine tune it by adding more layers etc. 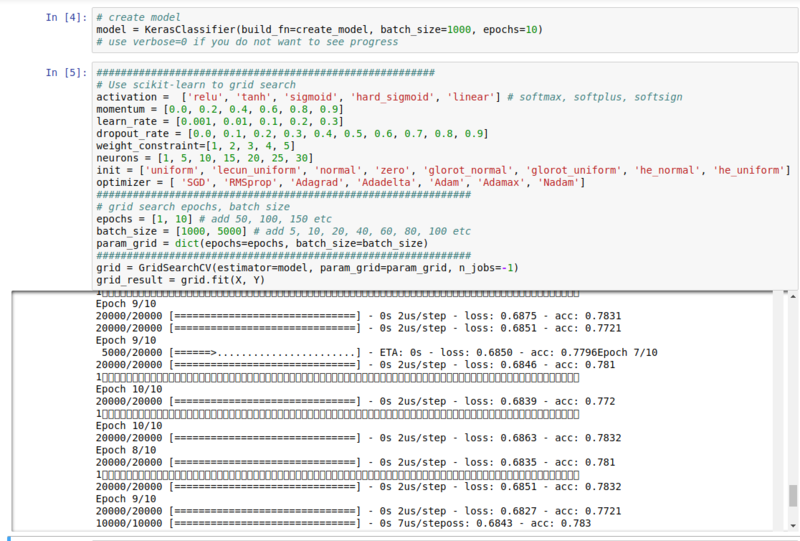 then we create a model and try to set some parameters like epoch, batch_size in the Grid Search. As we can see from the output window that above various combinations of epoch and batch_sizes were run. For now I have kept epoch very small because it was taking time. We should test higher values also. As you can see in the output given above the best score we got was when we use epoch 1 and batch size of 5000. We can try different parameters like different values of activation functions, momentum, learning rates, drop out rates, weight constraints, number of neurons, initializers, optimizer functions. 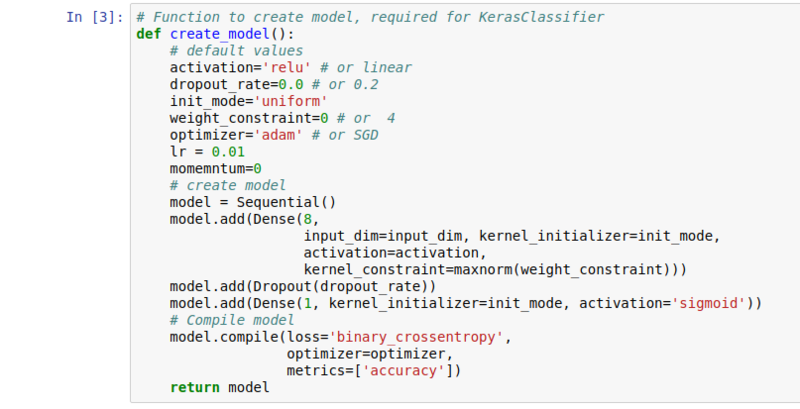 Coding is very simple and easier if you use keras package. I have posted this blog here as well.